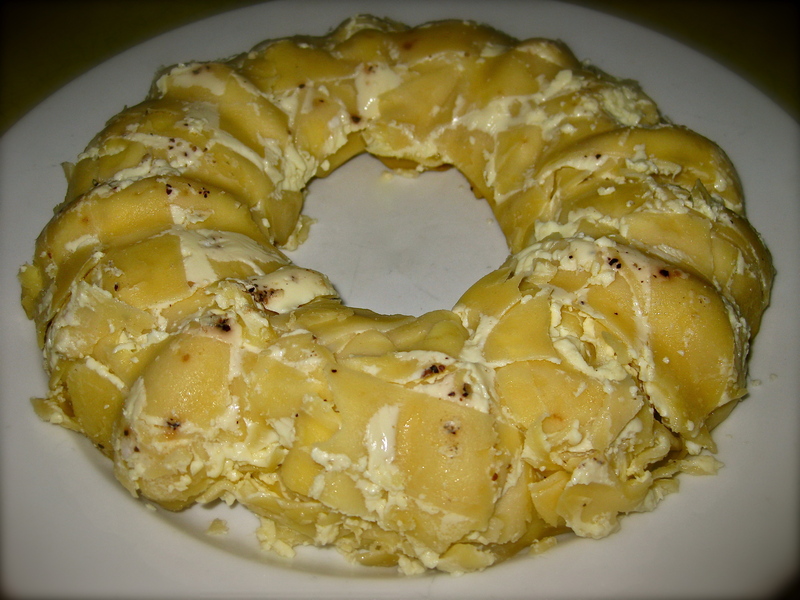 A noodle Ring is a dish of pasta, cheese, eggs cooked in a ring mold. Common fillings for the center of the ring includes creamed chicken, vegetables or other ingredients of your choice. Any kind of pasta can be used for making noodle ring. Creating a pasta ‘nest’ with a cooked food center has been around for centuries. One of the mid-century recipes of noodle ring is from The American Women’s Cook Book, which was published in 1948.